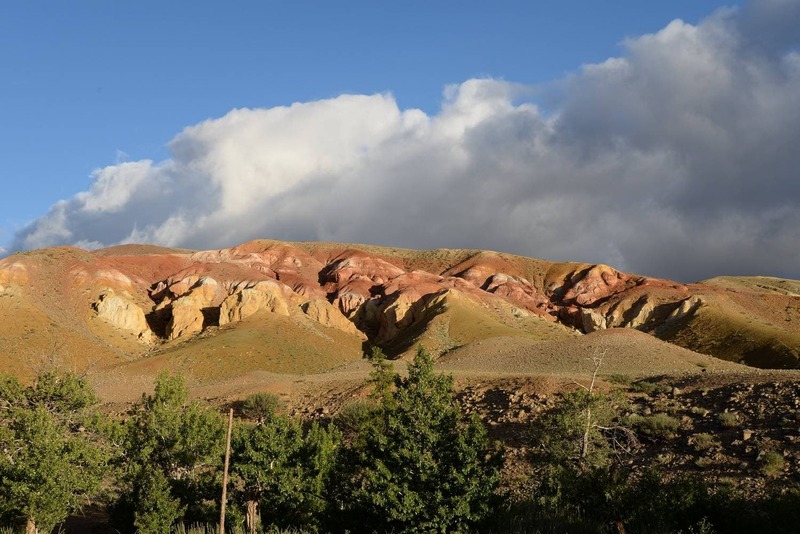 Kyzyl-Chin is a mountain with great colorful views located 10 km from Kosh-Agach, which is the centre of the district. The name “Kyzyl chin” is translated from Altaian language as “Red cliff”. Layers of clay with colors like yellow, white, orange, red and burgundy are making the hills really unique. Many people who have been there exclaim that such landscape is only possible to exist on other planets like Mars. The colorful gamma is caused by the presence of ferrum oxides and additives in the clay. The degree of oxidation and the kind of additive provides a particular color. A deposit of polymetallic ore was found in Kyzyl-Chin valley. Manganese, titanium, sulfur ore, pyrite and chalcedony – all these minerals give a variety of tinctures. 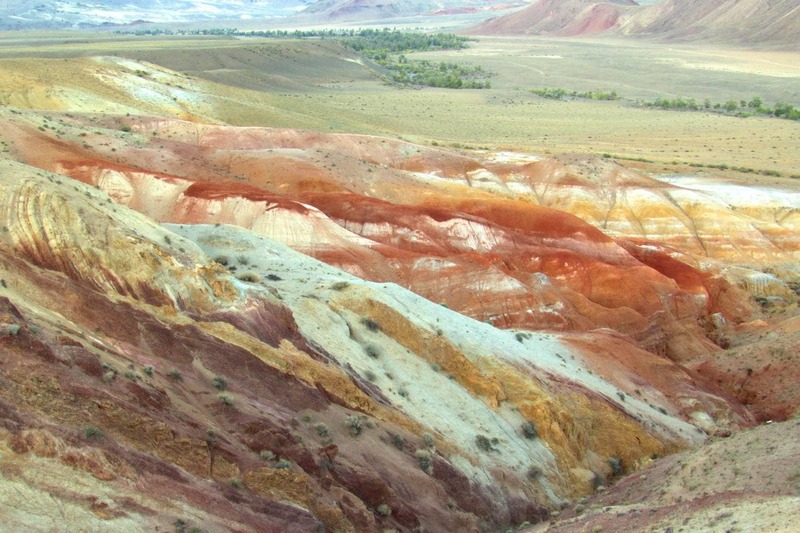 Kyzyl-Chin is also a place where geological studies are held. A lot of evidence has been found that 90-100 million years ago a sea was at this location. It is possible nowadays to find fossils, molluscas and ammonites.